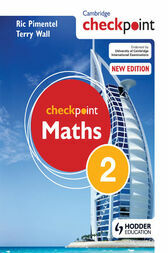 This widely-used and highly-respected Student's Book, for Cambridge Secondary 1 Maths, is fully matched to the Curriculum Framework, Cambridge Checkpoint Tests and the Cambridge Progression Tests. It includes sections on calculations and mental strategies that provide accessible guidance through these difficult topics. There are also chapters that focus on ICT, investigations and problem-solving, helping your students to apply Maths to real-life situations.